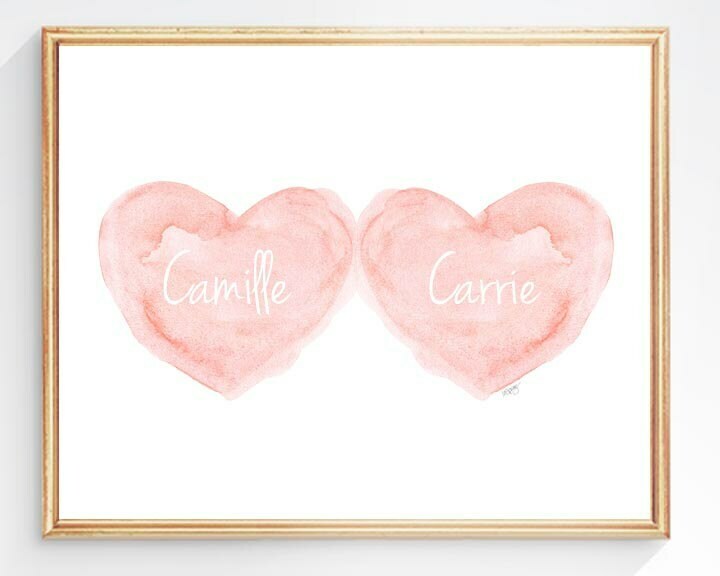 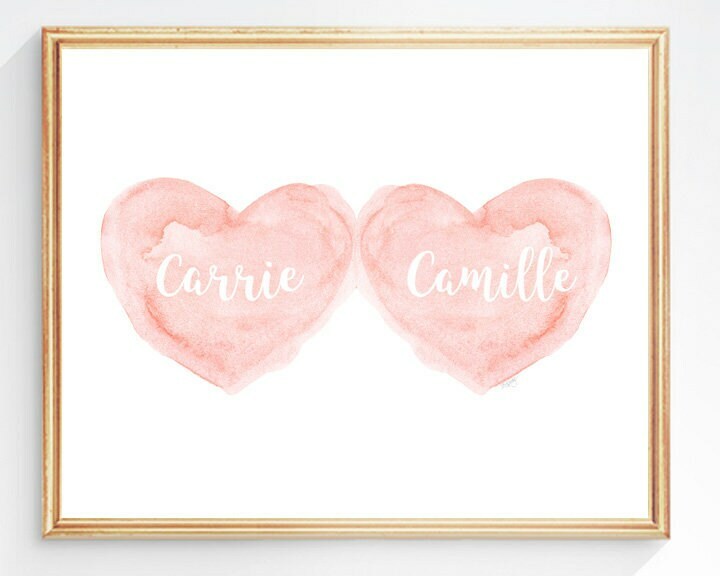 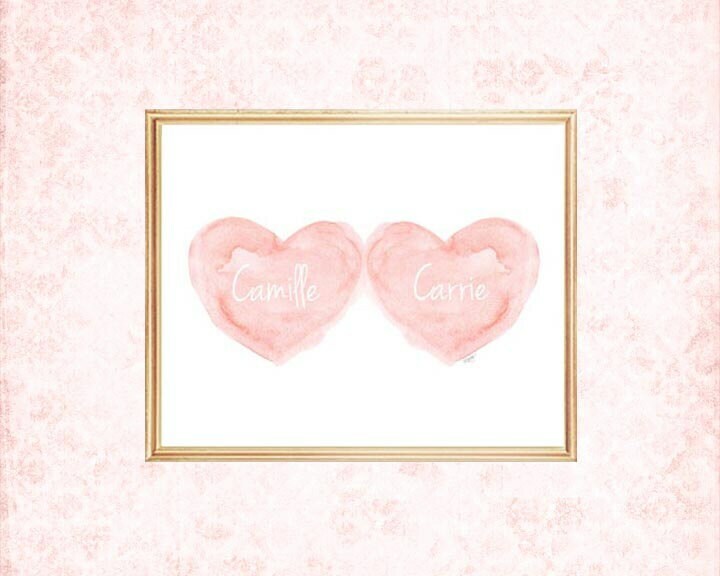 A pretty blush watercolor art print created from my original watercolor painting. 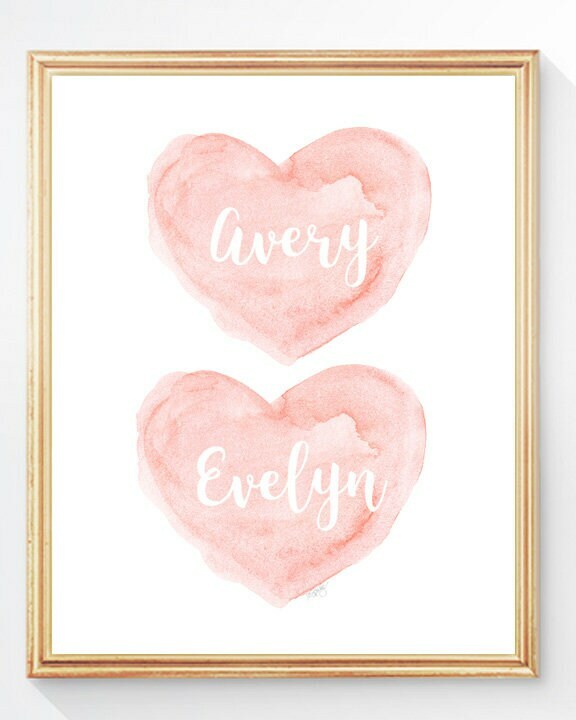 Personalize with your special names. 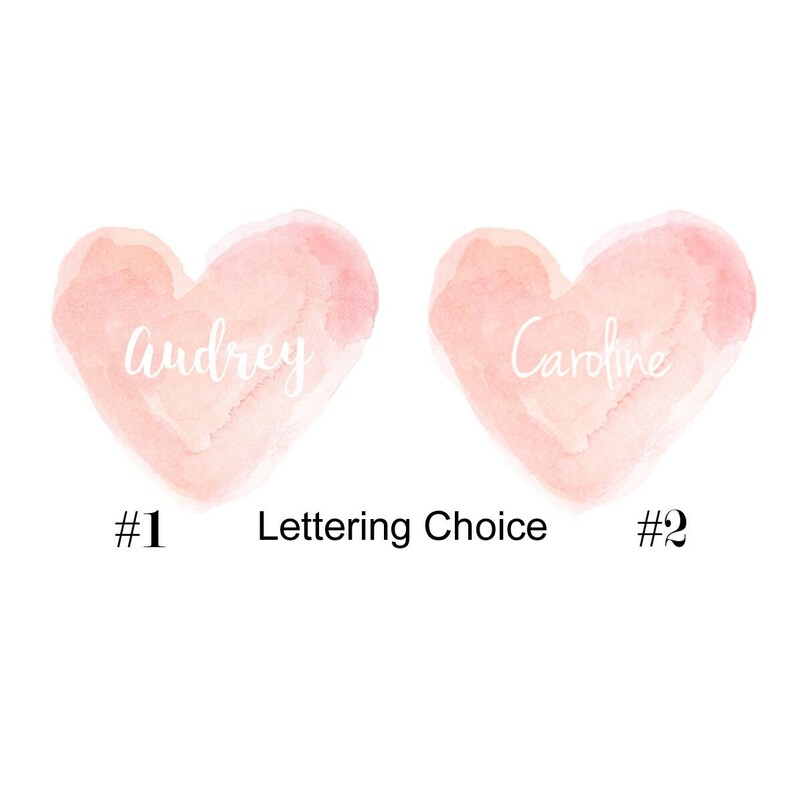 Just leave the names in the notes to seller at checkout.